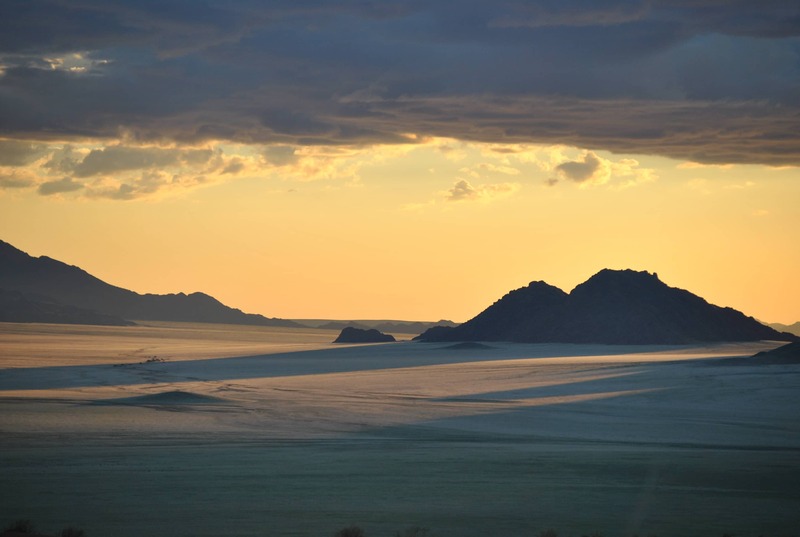 Namibia is an awesome land, arid, rough, desolate, but incredibly beautiful, in its vast, moon-like landscapes and endless horizons. It is a photographer’s dreamland, a land of contrasts and earthy colours. 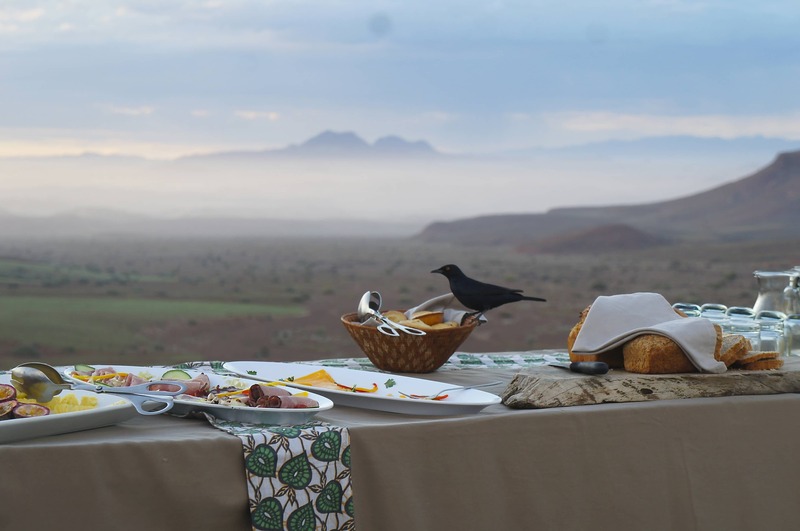 It is not the place for those who like busy beaches and the social whirlwind, but for those who are drawn to nature, stillness, the romance of the grandiose landscape, desert and expanses. A Bit of History: Because of its barren coastline, Namibia was one of the last parts of Africa to be colonized by Europeans. In 1883 a German merchant and adventurer, Adolf Luederitz from Bremen, bought the Bay of Angra Pequeña from Nama Chief Joseph Fredericks from Bethanien. He also bought the area in a 20 mile radius around the bay. The purchase price was then 10 000 Reichsmark and 260 guns. The bay is today known as Luederitz Bay. In 1884, the German Empire took over the “protection” of Luederitz’ possessions. A tiny corps of the “Kaiserliche Marine” landed in the bay and raised the German flag. Germany was late to the colonial game, and the only other German colony in Africa was Tanganyika on the east coast. Both colonies were captured by South African troops in the First World War. From 1884 to 1914, Namibia remained a “German Protectorate” called “Deutsch Südwestafrika” under the protection of the “Deutsche Schutztruppe (Protection Corps). 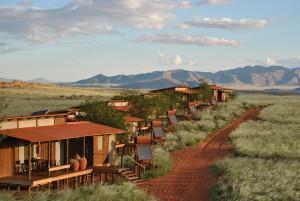 It had the task to transform the area between Oranje and Kunene rivers into a German colony. German settlers were directed to buy land and to freely and safely establish farms. For this purpose the indigenous population, mainly Nama and Herero paid a heavy price, as they were first subjugated, then annihilated. From the beginning of the First World War, South Africa captured and occupied the area; in 1920, she was given the country by the League of Nations as a mandate. The UN abolished this mandate in 1966; South Africa refused recognition of this action. The result was many years of military struggle between South Africa and the Namibian liberation movement SWAPO, which was supported by the United Nations. On March 21, 1990 the political independence of Namibia was finally granted and a democratic constitution drawn up. SWAPO won the first free elections and became the strongest party. Its leader Dr. Sam Nujoma became the first Namibian President. The Namib – known as ‘The Living Desert’ – is a world of vast space, endless horizons, dramatic desert-scapes and jagged mountain heights, and the highest Sand Dunes in the World. With aGuide and Ranger, explore the desert by quadbikes (all-terrain four-wheeled motorcycles) or open 4×4 vehicles. 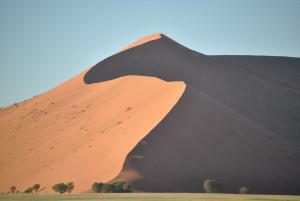 An all day excursion to the famous Sossusvlei sand dunes, the highest in the world, and Sesriem Canyon will add to this unforgettable desert-safari experience. 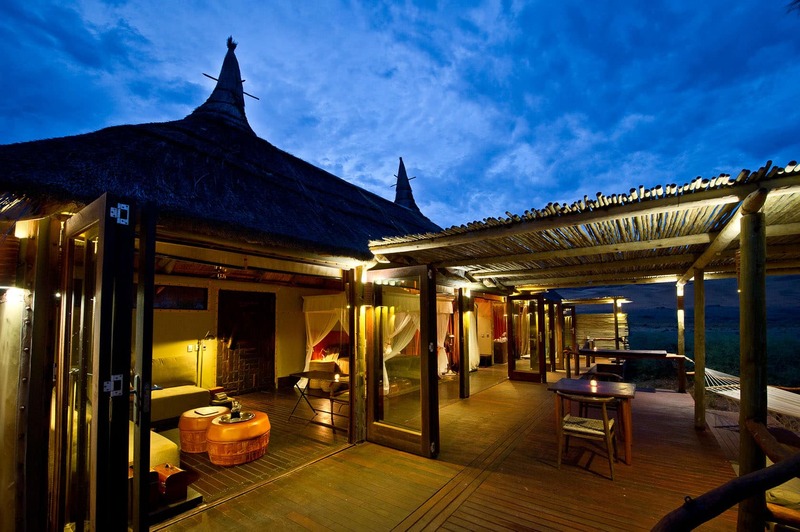 We suggest staying at either the Sossusvlei Desert Lodge or at Little Kulula to see the Dunes, or at the Dunes Lodge at Wolwedans. Further south from the Namib, the Fish River Canyon is a natural wonder. The second largest canyon in the world a visit can involve a trek through the canyon (not in summer), a view from the edge, or most dramatically, a flight along the canyon. Etosha, meaning “Great White Place”, is dominated by a massive mineral pan. The pan is part of the Kalahari Basin, the floor of which was formed around 1000 million years ago. The Etosha Pan covers around 25% of the National Park and was originally a lake fed by the Kunene River. The course of the river changed thousands of years ago and the lake dried up so that the pan now is a large dusty depression of salt and dusty clay, filling only if the rains are heavy and even then holding water for a short time. The crystallized salt left behind from the waters shimmers in the sun and gives it it’s famous, eerie beauty. Temporary water in the Pans attracts thousands of wading birds, including impressive flocks of pink flamingos, while the perennial springs along the edges of the Etosha Pan may draw large concentrations of wildlife, including zebra, elephants, giraffe, as well as birds. 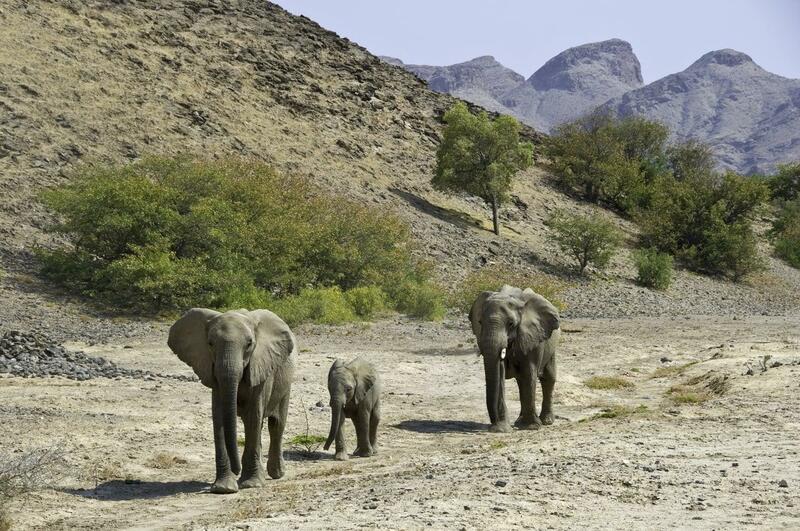 Visitors to Etosha Game Reserve can expect to see many species of birds, plus buck, elephant, giraffe, rhino and lions. Fortunate visitors will also see leopard and cheetah. The north-western reaches of the country are sparsely inhabited, lending the dramatic landscapes barely touched by man an ancient and profound sense of eternity. Unless time is not of the essence, these can best be explored with charter aircraft, which allow a greater appreciation of the geological and meteorological wonders. 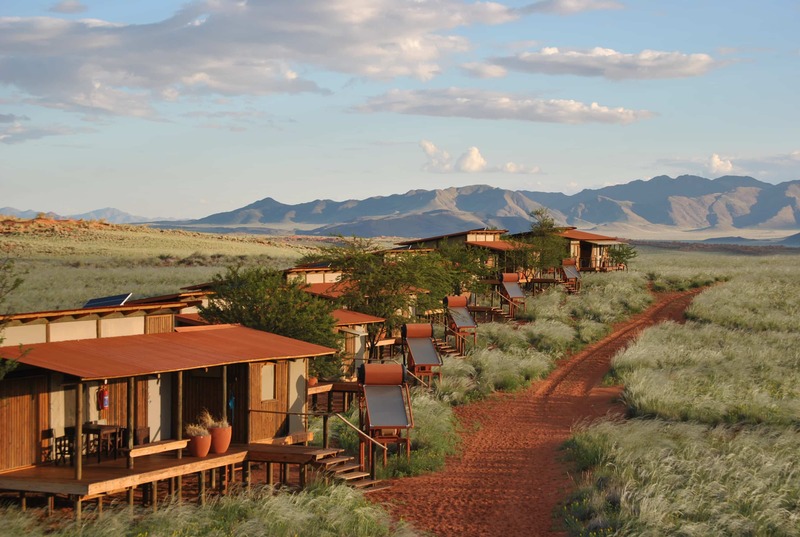 The jaw-dropping landscapes of Kaokoland and Damaraland will never be forgotten, and there has never been a visitor unimpressed by the Skeleton Coast. 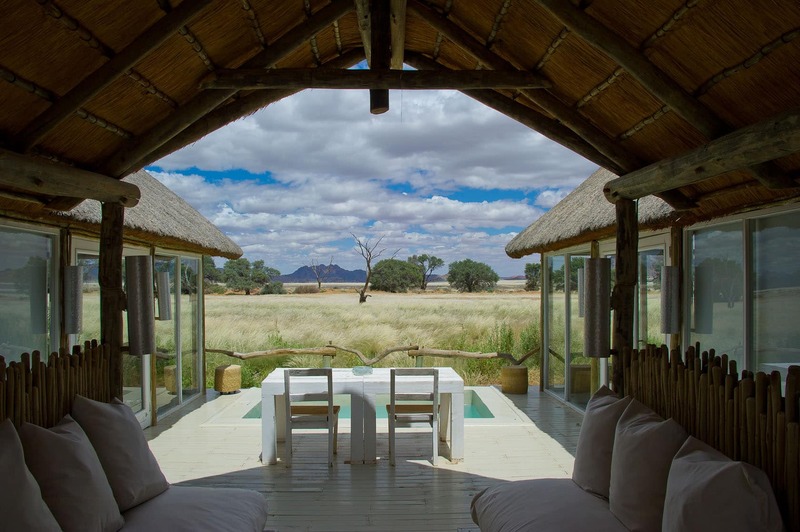 Located on Namibia’s private 37,000 hectare Kulala Wilderness Reserve, Little Kulala is a slice of luxury at the gateway of Sossusvlei, Namibia’s Sand Sea. 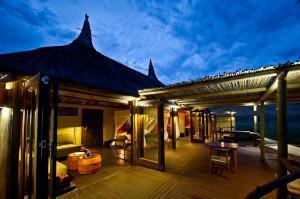 Set on a dune plateau, the Dunes overlooks panoramic vistas, mountainous backdrop, and endless skies. With such close proximity to the Kunene River, guests can enjoy the sounds of the soothing rushing water while noticing the contrast to the surrounding dry desert.